Find My Workspace lists over 95% of the business centres market in Grangemouth. Simply click Request Quote to check pricing for one office, or Add to Basket for multiple offices. This business centre is made up of 12,870 square feet of flexible business accommodation, offering open-plan office space in a variety of sizes to suit businesses of all types. The location is perfect for companies seeking a work destination that is close to the vibrant oil and port facilities of the town, just off the motorway network of Central Scotland. Tenants can benefit from 24-hour access to the property, perfect for those who work outside the regular nine-to-five business hours. There is ample free, secure parking space at the site, making life easy for those who commute by car. 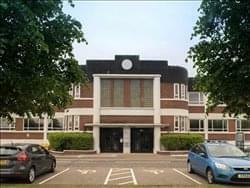 Housed in a beautifully refurbished art deco building, this centre offers a varied selection of offices – ranging from 216 square feet to 3,000 square feet – available fully furnished and on flexible terms. The centre offers an exciting proposition for both young businesses and more established companies that are looking for modern space in the Falkirk area. The building features dedicated meeting and conference rooms, that are equipped with WiFi, projectors, whiteboards and stationery. 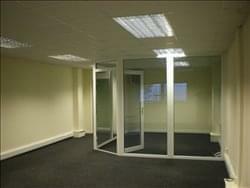 There is also disabled access/parking, a customer lift, and offices are furnished in a clean, professional manner. To obtain information for your selected Falkirk Business Centres, please tick the "Add to basket" box for each office you prefer and complete the form below. We will then send a detailed report via email.